I managed to get away for a day of wildlife shooting last week. We were in the Boundary Bay area near Tsawwassen. My friend Henrik and I set out somewhat early in the day. We are not the 4 am type of guys. We, or perhaps I should say I for sure need a good cup of coffee and breakfast before I want to work any heavy equipment such as a long wildlife lens and a camera. The weather was not cooperating in the morning and early afternoon hours but we decided to hang in there as the weather forecast called for a nice afternoon. And we indeed got what we were hoping for. 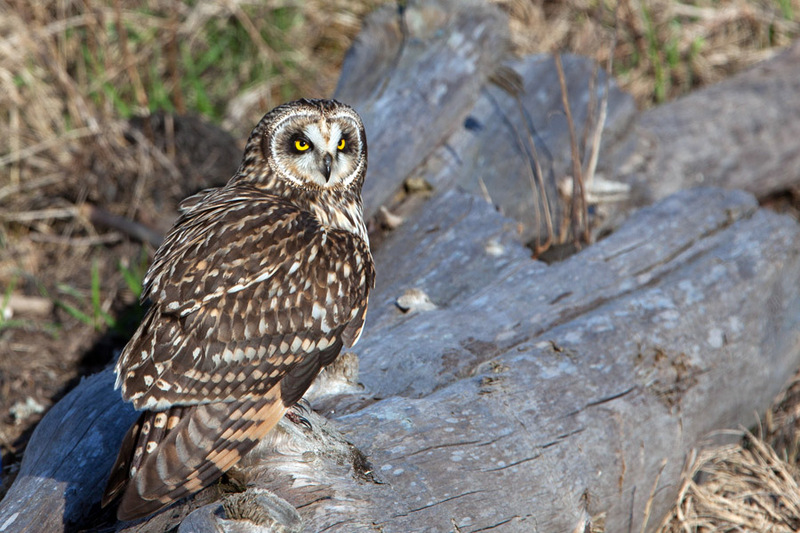 It was an absolutely gorgeous afternoon and early evening along Boundary Bay where we saw several short eared owls and harriers. The light was just fantastic and we didn't have to wait for long for the owls to put on a good show. It never ceases to amaze me how popular wildlife shooting is in this part of the world. In my hometown Vernon I don't think I've ever seen anyone out shooting wildlife. I am sure the photographers are out there but they may do a better job hiding. At one point as we were shooting along the coast line, three minivans pulled up and out jumped about 6 or 7 photographers. The whole scene looked like an FBI delegation on assignment, all with the latest gear you can imagine. 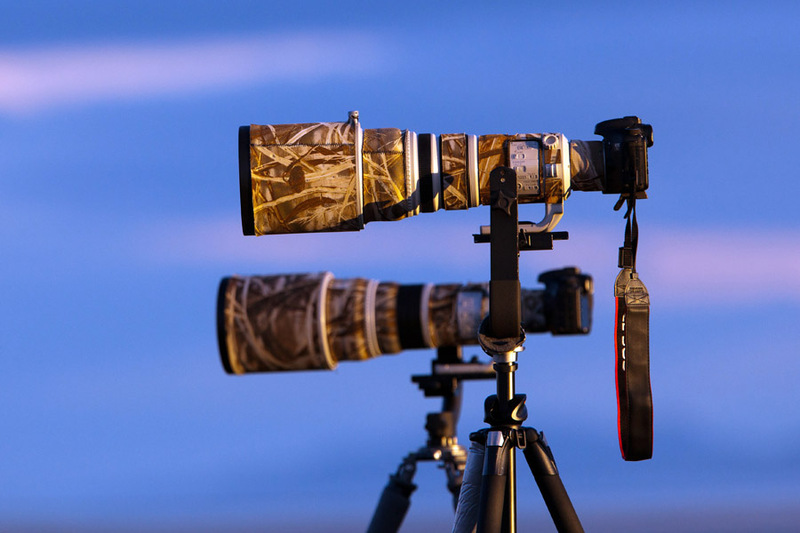 Canon 1D Mark IV camera bodies equipped with very expensive 500-800 mm camouflage covered covered telephoto lenses, state of the art carbon fibre tripods with gimbal heads and all wearing camouflage clothing. They immediately started firing away but quickly lost patience and moved on. It was quite a scene. It was nice also to meet Damon on this shoot. Henrik and Damon both shoot with a very similar setup, pictured below. Canon 7D with EF 500 mm f/4 lenses. Both are very talented and enthusiastic shooters. My photos below are captured with a Canon 5D Mark II with the EF 300 2.8L IS + 1.4x extender. You can see some of Henrik's Captures via this link. You can see some of Damon's Captures via this link. You can see more of my shots are in my Wildlife Gallery.